Last week, I was in the emergency room at a hospital near my home. What struck me was the number of people who were still without insurance. I even overheard a conversation about why they didn't think it was important to have insurance. Today, I want to breakdown some of the basic issues the Affordable Care Act (ACA) addresses, and why people should be insuring themselves and their family. Health care costs are rising faster than inflation. As a result, and for sustainability reasons, the government had to act on getting these numbers under control. To make matters worse, up to 50 million Americans lack health insurance. Why such a great number of uninsured and underinsured? It turns out some insurance companies had developed the bad habit of setting up unrealistic lifetime dollar limits or simply denying coverage to people with pre-existing conditions. But insurances were not the only culprits. Businesses played their part by failing to offer health insurance. Of course, they blamed it on the high premium insurance companies charged them, particularly when they had sick or injured employees. In the end, this left a lot of US taxpayers without health insurance. With the ACA, people can no longer be denied health insurance coverage on the basis of pre-existing conditions. Furthermore, gone are the days of lifetime limits on health care coverage. 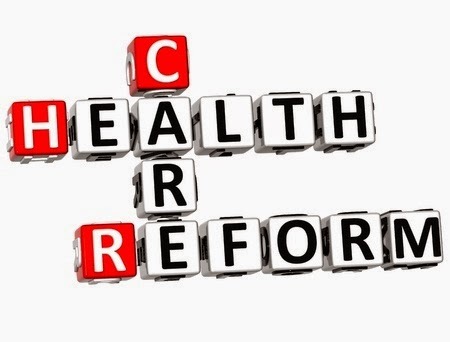 The Affordable Care Act requires each state to offer health benefits on the so called "Exchange Marketplace." This creates an opportunity for a more dynamic and competitive market environment for Americans looking for the best insurance coverage and rates. The great thing about those marketplace exchanges is that businesses and individuals can shop online and compare health insurance attributes before making a final determination. You can even navigate the exchanges via the phone, the mail or in person at certain locations. This brings me back to the hospital visit I had last week, and my thoughts on the issue. I have been blessed to have had health insurance most of my life but a lot of people haven't been so lucky. In the emergency room, I struck up a conversation with a lady who didn't have access to health benefits until recently. She suffered from all sorts of cardiovascular related conditions though we were about the same age. Had she had access to health insurance as I did, chances are she would have been in better shape, health-wise, today -- it has been demonstrated that uninsured individuals have higher death rates than those who are insured. Another benefit of having health insurance is protection against the unknown. Due to rising health care costs, it takes one serious health related incident to ruin an individual and their family financially. Major health events go well into the thousands of dollars. It is common to see medical bills in the tens of thousands of dollars or even in the hundreds of thousands of dollars. Which average American can afford such bills? This is where insurance coverage comes in handy. You as a covered patient would only pay a relatively small portion of the bill while your insurance company would pick-up the larger portion. My next post will be on Open Enrollment for the 2015 calendar year, for Individual and Family health plans. **Disclosure: This post was sponsored by UnitedHealthcare, however all the views and opinions are completely my own. I worked as a temp a few years ago, before the ACA, so I was without insurance. I was scared to death that something would happen. I couldn't get a full-time position with insurance fast enough! I fortunately have always had insurance through my husbands company and couldnt imagine not having it. People really need to look into every option they have. Great post. Good info Sheila...there is no doubt in my mind that ACA is the best thing for our country. It sounds insane that a sick person can't address their issues because of money. It will be hard to get this fully implemented (and expensive) but it's definitely the right thing to do. I just got coverage through the marketplace (my husband's insurance doesn't cover families and I work part time) and it has been SUCH blessing! I feel like the people that come down hard on the ACA don't know the fear of being uninsured or under-insured. I'm actually in the process of researching this topic for our small business. Thanks for sharing the information. We were able to get our kids insured through the marketplace. Being uninsured is no fun and worrisome when you have children. I am thankful for the act. I've been so so fortunate with insurance coverage. Great info. This is such a hot button topic for me. As of one month ago, I am insured for the first time in 11 years. I've always worked for companies that didn't offer healthcare, and found everything I was offered independently to be WILDLY unaffordable. I appreciate that people are working on ACA, I just hope that they truly focus on the "Affordable" part of it! I'm a believer that you should be covered for sure. And honestly, I was one of the biggest rah rah cheerleaders for this bill before it got compromised to hell and back. Part of my change in opinion might be that I'm from PA. We had no funding for medicaid programs for healthy adults before the ACA, and the governor turned down Obama's funding. Then he started his own plan that charged premiums and disenfranchised demographics like pregnant women. He opened applications 1 month before he left office, his successor pledging to expand Medicaid. So now everything is a mess. Another problem: if there's not a whole lot of competition in your region, the premiums are crazy high, even if it's a crap hospital system. And then there's the issue of the cost of health care not being addressed; so far we've only changed the public's perception of who's paying for it. (In the meantime, a larger burden, has, in fact, been placed on the public.) I hope we figure out this whole healthcare mess. But I think it's going to take a while and people realizing that they have to fight back against the industries making medical care in our country so outrageously unaffordable. I just saw your post, I don't know how I missed it. Anyway, that is a real mess in PA. So, there isn't a lot in the marketplace to choose from in your region? I have been lucky to be covered under my husband's insurance. In our region, luckily there is competition. There almost wasn't but a competitor for back in the market about 2 years ago. UPMC will no longer accept BCBS though, unless it's for the children's hospital. So that's pretty messed up. Their way at getting back at them through Pittsburgh residents because they bought the last hospital UPMC needed for a monopoly. Still, the plans that I'd feel comfortable calling affordable by looking at their premiums still have bad copays, deductible, or coinsurance rates. One specific place that has a monopoly and crazy rates is part of Alabama. Sorry I got all negative. I've just been so disappointed by the results after being so excited by the possibilities. No problem, I think it will take a while to get all the kinks out of the program. I can foresee it being much better in 5 years.